Some $23 billion of first-half 2017 global catastrophe losses were covered by insurance, according to preliminary estimates from Swiss Re sigma. With total economic losses from disasters at $44 billion in the first-half, that means 52 percent was covered. As Artemis blog reports, this is actually a relatively high percentage insured which makes for a smaller protection gap. 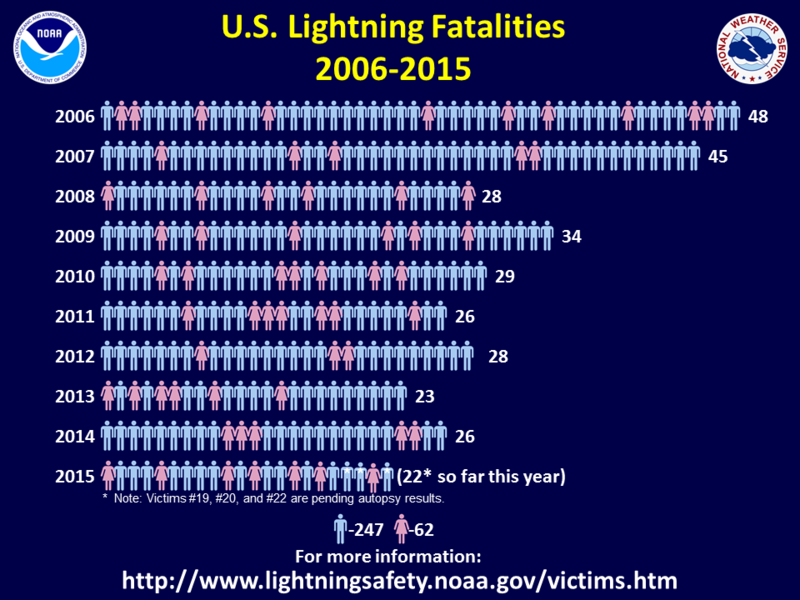 Severe thunderstorms in the U.S. resulted in the largest losses in the first six months of this year—accounting for $16 billion of the $23 billion insured losses. Natural catastrophes and man-made disasters cost insurers $34 billion in 2014, down 24 percent from $45 billion in 2013, according to just-released Swiss Re sigma preliminary estimates. 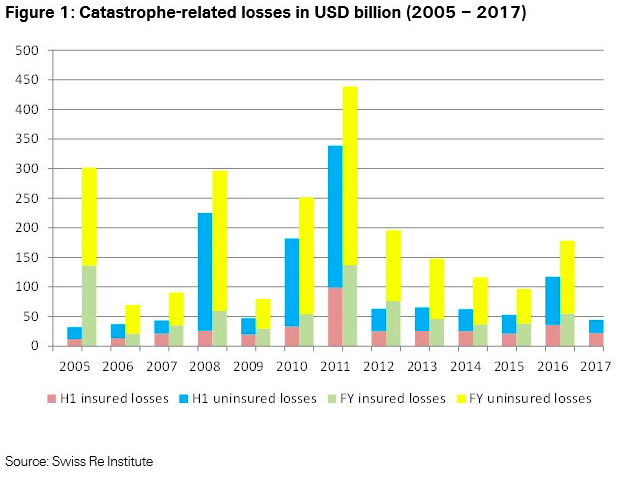 Of the $34 billion tab for insurers, some $29 billion was triggered by natural catastrophe events (compared with $37 billion in 2013), while man-made disasters generated the additional $5 billion in insured losses in 2014. 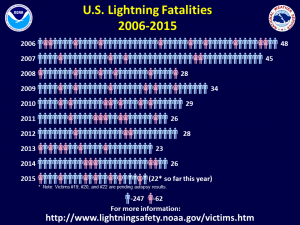 Despite total losses coming in at below annual averages, the United States still accounted for three of the most costly insured catastrophe losses for the year, with two thunderstorm events and one winter storm event causing just shy of $6 billion in insured losses (see chart below). 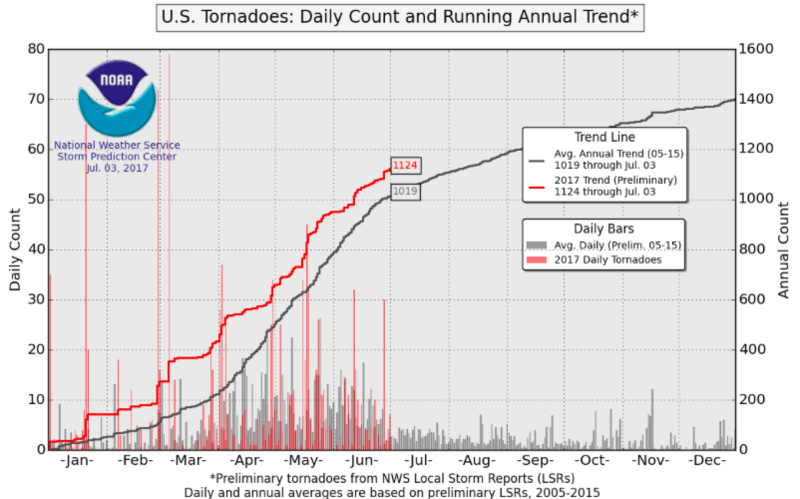 In mid-May, a spate of strong storms with large hail stones hit many parts of the U.S. over a five-day period resulting in insured losses of $2.9 billion — the highest of the year. Extreme winter storms at the beginning of 2014 caused insured losses of $1.7 billion, above the average full-year winter storm loss number of $1.1 billion of the previous 10 years, sigma said. Total economic losses from disaster events in 2014 reached $113 billion worldwide, according to sigma estimates, and around 11,000 people lost their lives in those events. Ongoing events and revisions to estimates for previous ones may further change the 2014 loss outcomes, sigma noted, as this data includes updates to source data made by 28 November 2014 only. 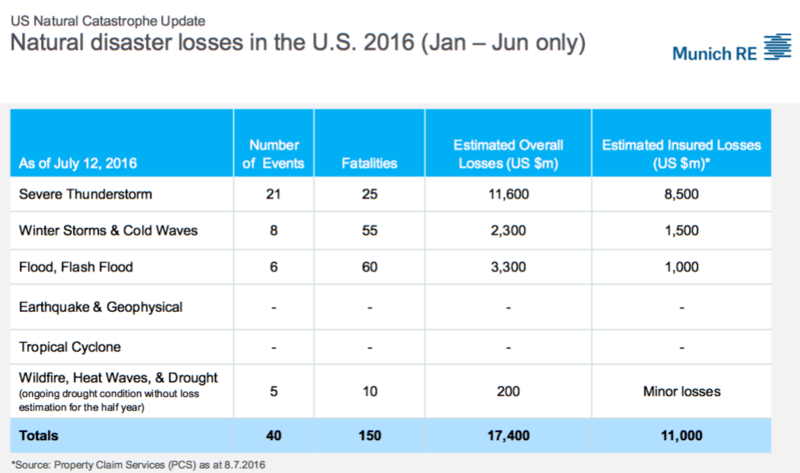 More on global catastrophe losses from the I.I.I. here.